For the young web log specialized new media agency we redesigned their appearance. The font ‘Knallgrau’ remained the same, the pixel cloud in orange and grey was designed which was applied on their office material. 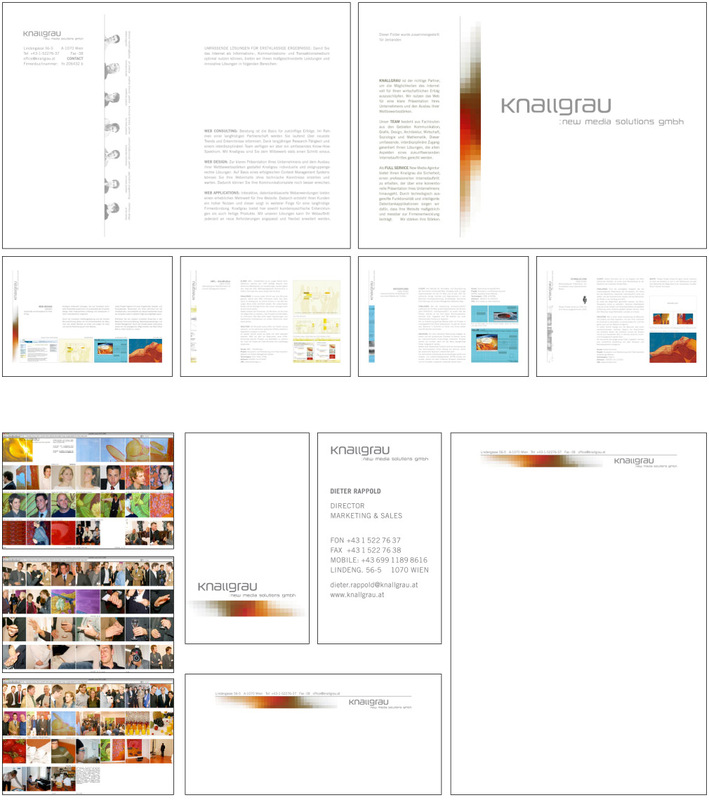 ‘Knallgrau’ themselves than did their own website based on the basic design.